Martine Syms, Incense, Sweaters, and Ice (still 1), 2017, Los Angeles. Courtesy of the artist. Incense Sweaters & Ice is a new feature film inspired by the idea that anything one does while being watched is a performance. The film follows three protagonists—Mrs. Queen Esther Bernetta White, Girl, and WB ("Whiteboy")—as they navigate the dramas of surveillance, moving between looking, being looked at, and remaining unseen. 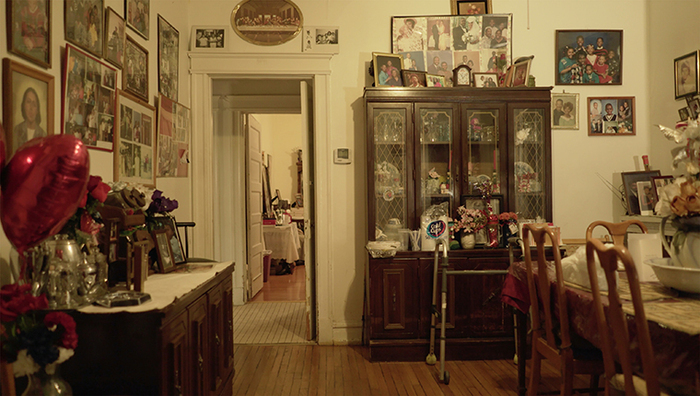 The film is a meditation on the three cities in which it is set—Los Angeles, California; St. Louis, Missouri; and Clarksdale, Mississippi—and how place lives on in its subjects, informing emotional and gestural landscapes across generations. The cities provide a backdrop for the psycho-geographic exploration of the development of language, movement, and representation, as observed in black female entertainers. The exhibition will be hosted by the Museum of Modern Art, as part of the Elaine Dannheisser Project Series. 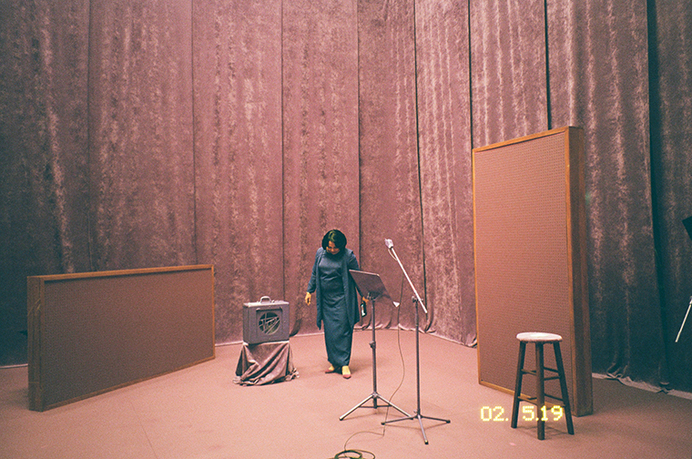 Martine Syms works in video, performance, and publishing. She received her BFA from the School of the Art Institute of Chicago. Her work has been shown at Hammer Museum, Los Angeles (2016); the Berlin Biennale (2016); Manifesta, Zurich (2016); the ICA London (2016); Bridget Donahue, New York (2015); the Gene Siskel Film Center, Chicago (2015); White Flag Projects, St. Louis (2015); the Studio Museum in Harlem, New York (2014); 356 S. Mission Rd., Los Angeles (2014); the Institute of Contemporary Art, Philadelphia (2012); and the Museum of Contemporary Art, Chicago (2011). Her work was featured in Surround Audience, the New Museum’s 2015 Triennial. From 2007 to 2011, Syms was codirector of Golden Age, a project space in Chicago focused on printed matter; she is also the founder of Dominica, an independent publishing company dedicated to exploring blackness as a topic, reference, marker, and audience in visual culture.